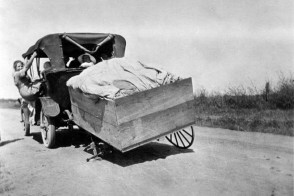 Jacob Riis is considered to be one of the founders of social documentary photography. His work “How The Other Half Lives” (1890) documented living conditions in the tenements of Manhattan. 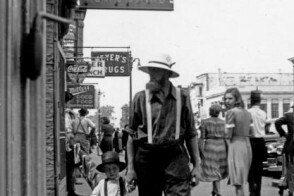 He along with Lewis Hine have set a standard that is hard to duplicate. 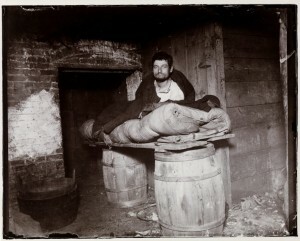 Riis’ photograph “Peddler Who Slept in the Cellar of 11 Ludlow Street” (1892) is shown below. It is one of the most famous images taken by Riis. 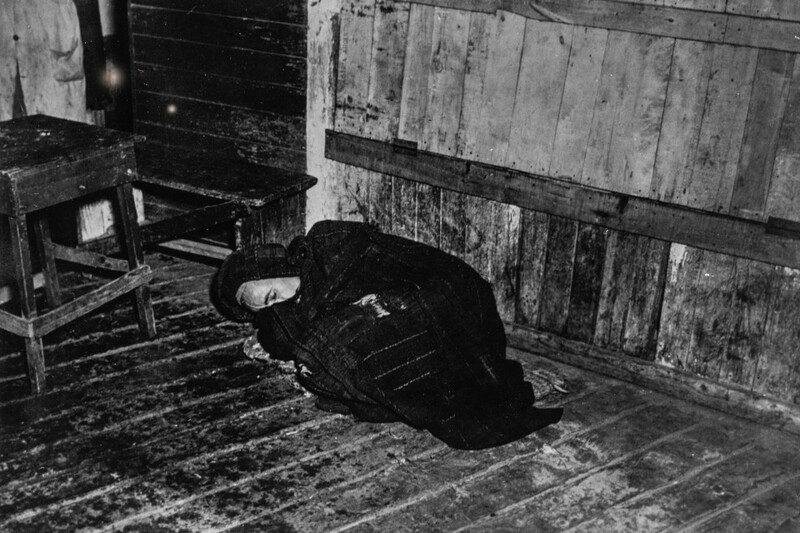 We believe that our photo “Woman Asleep on the Floor“; Alabama c.1951 closely represents Riis’ style. We hope that he would approve.